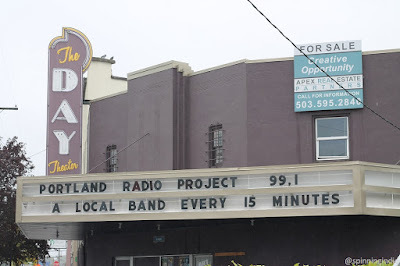 Amid the flurry of new low power FM (LPFM) community radio stations is Portland Radio Project in Portland, Oregon. Originally planned as a streaming radio station, the founders embraced the LPFM opportunity in order to bring a mix of music and public affairs programming to the airwaves. 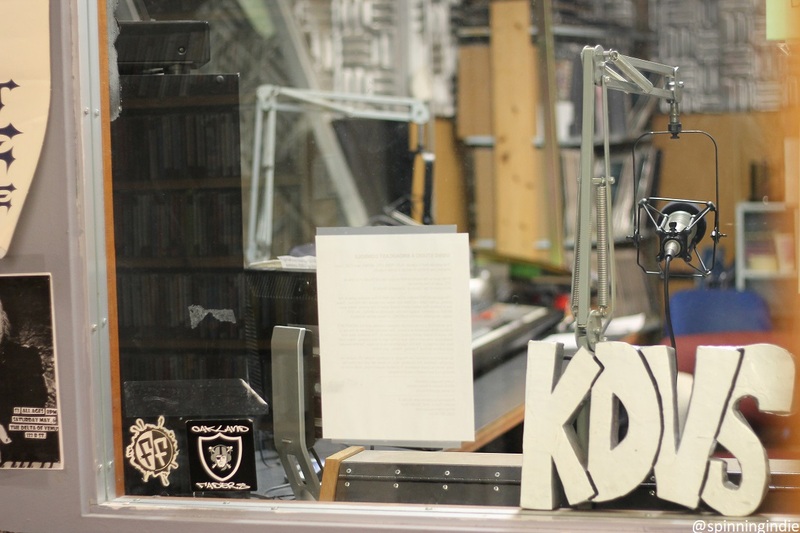 A staple of the FM airwaves for 50 years, college radio station KDVS 90.3 FM at University of California, Davis is a feast for the eyes and for the ears. Rumored to have one of the largest music collections in the west, the station is packed with vinyl records, CDs, cassettes, and more. I was comforted by the sight of so many music posters and flyers from the past, many featuring favorite artists of mine from decades ago. 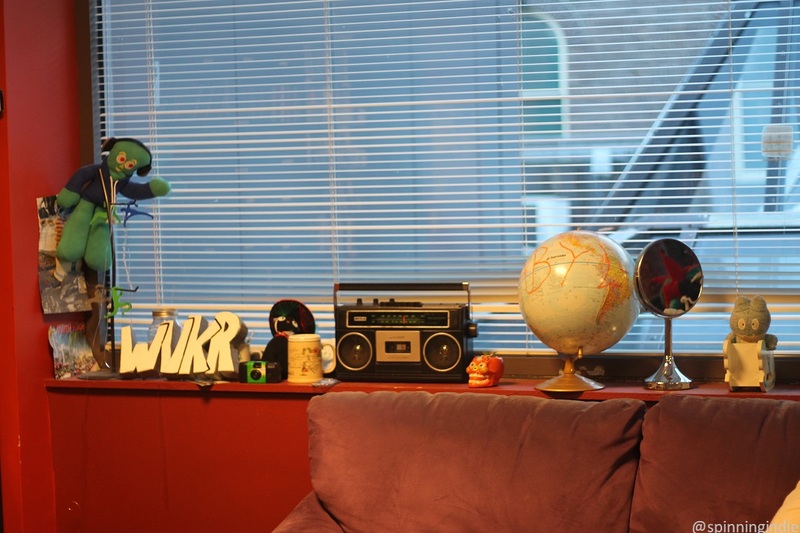 Vassar College radio station WVKR-FM beams its signal across multiple states from its Poughkeepsie, New York headquarters. 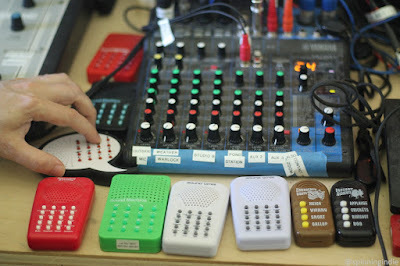 Run by students, the station also airs many long-time programs hosted by non-student volunteers, from several polka music shows to Voices Beyond the Wall: New York Prison Talk Radio. With a large collection of LPs and CDs, WVKR is focused on providing an outlet for underexposed music. I was also charmed by its collection of whimsical mementos and WVKR's dolphin-shaped shower radio. See my full tour report on Radio Survivor. I LOVE visiting high school radio stations and for my latest, I toured KAKX-FM at Mendocino High School in Mendocino, California. Part of a broader production arts department, station participants also have their hands in video and music production, as well as running sound and lights for school events. Located in a small town, the station and its students have benefited from a range of collaborations with the local radio community. See my full report on Radio Survivor. 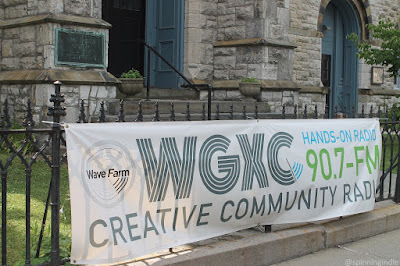 Wave Farm operates community radio station WGXC-FM out of studios in both Acra and Hudson, New York. 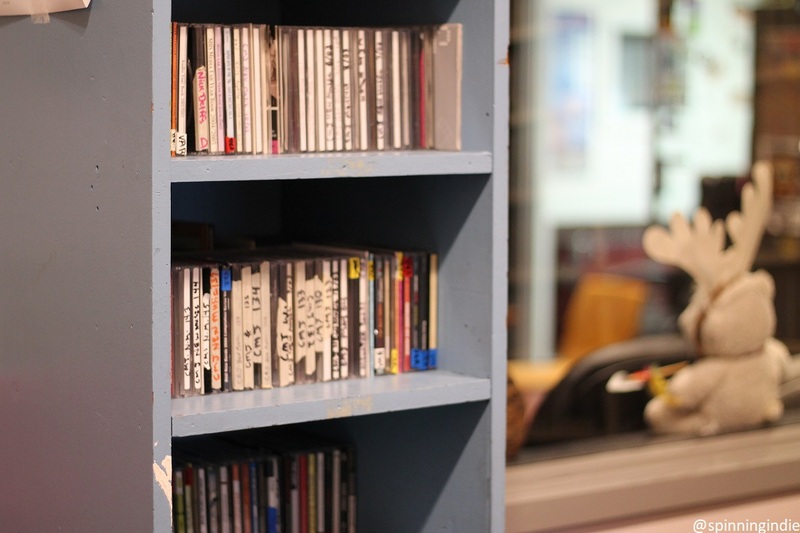 While my previous field trip report on my visit to the Acra location delves into the transmissions arts aspects of the station; my trip to the Hudson studio reveals more about WGXC's overall programming. Located in a church basement, WGXC Hudson has an active roster of show hosts from the area and a community-oriented approach to news programming. Its app even facilitates live broadcasts generated by a wide group of contributors; ranging from arts venues to civic-minded individuals. See my full report on Radio Survivor and hear more about my tour on Radio Survivor Show #151. I was pretty blown away by my visit last month to the arts-focused Wave Farm in Acra, New York. Home to community radio station WGXC-FM, it's also a hot bed for transmission arts and radio-oriented artists-in-residence. Hidden radios dot a trail through the woods, with transmission art pieces throughout the property, including a pond radio station and Quintron's Weather Warlock. With another main studio in Hudson, New York (the topic of my next tour post), WGXC not only airs experimental programming, but also news, music shows, and youth programming. Read my full report on Radio Survivor. Also, hear more about my visit on Radio Survivor Show/Podcast #151. Vacaville Christian Schools' VCS Radio (aka KVCB-LP) is not your average high school radio station. 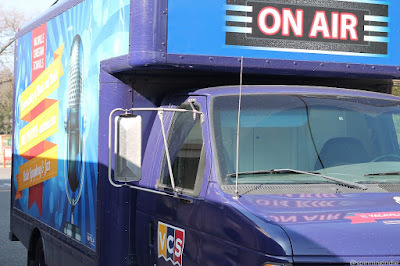 Under the umbrella of VCS Radio Conservatory, the station is an extension of the adventurous music program, offering 3rd graders through high schoolers the opportunity to participate in the presentation of radio programming over the station's multiple channels. A low power FM/HD station, KVCB has channels airing old time radio, student-created music works and sound art, live radio shows, and more. There's even a secret Morse code message embedded in the signal and a Tesla Coil at the station's HQ in Vacaville, California. Read my full report about my February, 2018 visit on Radio Survivor.